Ireland is among the worst countries in the EU for taking action on climate change, a new report has claimed. The ‘Off Target’ report conducted by Climate Action Network (CAN) ranked only Poland below Ireland across the EU. The findings indicate this poor position comes from Ireland’s lack of progress on renewable energy and on 2020 climate targets. CAN looked at the role that member states played in setting EU climate and energy targets, along with the progress they were making in their own country on issues such as pollution, renewable energy and energy efficiency. Phil Kearney, of the climate change committee at An Taisce, said the findings of the report were “extremely concerning”. He said it was disappointing for Ireland to be “labelled as a laggard” when it comes to climate action. “The report by Climate Action Network highlights the urgent need for Ireland to implement the recent Citizens’ Assembly proposals and increase ambition in accordance with Paris Agreement commitments,” Mr Kearney said. Last year, the Citizens’ Assembly made recommendations to greatly enhance Ireland’s climate ambition, the report said. Within the report’s result summary, Ireland is listed under the headings ‘The Bad’ and ‘The Ugly’. Of the 29 EU countries ranked from very good to very poor, Ireland stood at 28. Sweden, Portugal, France and the Netherlands occupied the top four positions. The UK was ranked in 14th, with Estonia, Bulgaria, Malta, Cyprus and Greece all ranked immediately above Ireland. The report recommended that all use of peat as an electricity generators should cease by 2019, with coal ending by 2025. It added that Ireland needs to join the group of progressive EU member states which calls for increased climate ambition. Jennifer Higgins, of Irish charity Christian Aid, described the ranking as dismal. “Despite the welcome recognition by the Taoiseach in January of Ireland’s position as a climate ‘laggard’, and commitments to change this, six months on it appears Ireland’s reputation when it comes to climate action is stagnating, not improving,” she said. Ireland is the third highest producer of emissions per person in the EU. As part of the recommendations by the Citizens’ Assembly, 80pc of those involved said they would be willing to pay higher taxes on measures that directly aid the transition to a low carbon and climate resilient Ireland. This included flood defence, retrofitting of homes and businesses, and making solar panels cheaper and more easily available. 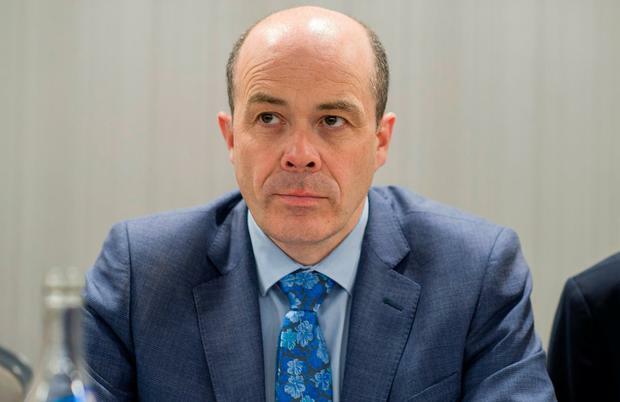 Speaking on the country’s position on climate change last month, Environment Minister Denis Naughten said it is a “moral necessity” for the country to catch up. “There are difficult days and challenges ahead. We are, as a country, playing catch-up on our obligations in relation to climate change,” Mr Naughten said. “This is as much our opportunity as our obligation. In any event it is a moral necessity and a vital national interest. Mr Naughten said that among plans is a commitment by the Government to no new non-zero emission cars from 2030, along with no diesel-only buses to be purchased after July 1 next year. Kevin Doyle and Paul Melia HOMEOWNERS forced to sacrifice part of their gardens for Dublin’s new rapid bus network are in line for generous compensation payments running into tens of thousands of euro. Paul Melia Dublin Bus services are set to undergo a major redesign.